This deal won’t last long. Act now and start living life at 100%! 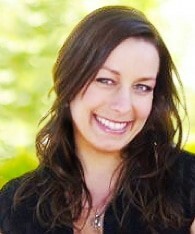 My name is Dr. Rachelle Merchant and I am excited to be here and practicing chiropractic in Castle Rock, CO! I am so passionate about being able to wake up every day knowing that I will be changing the lives of those in my community. I am without a doubt a people person first and foremost. I want to get to know those I treat as an individual so that you and I both can be part of the amazing process to change your and your family’s lives for the better and celebrate your health achievements together. I moved to Castle Rock, Colorado from California to enjoy everything this outdoor playground has to offer. When I’m not with my 100% Chiropractic Castle Rock family, I am out on life adventures with my husband and 3 beautiful daughters (I know, we have our hands full!). We are always exploring new places and enjoy experiencing anything in the crisp fresh air. For the more formal information, I received my Bachelor of Science from California State University, Long Beach and my doctorate of Chiropractic from Life Chiropractic College West. Prior to 100% Chiropractic, I owned my own family practice in California for four years and am now looking forward to being your chiropractor and a part of the health and wellness care for your family here in Castle Rock.